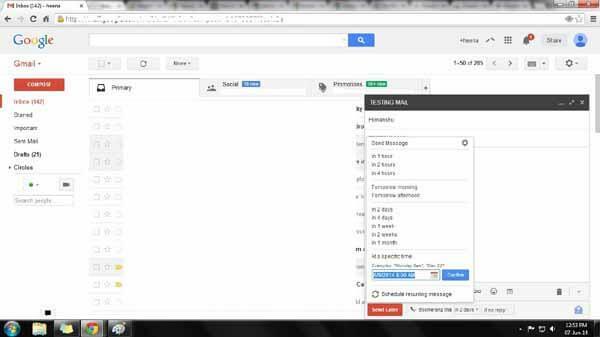 Now open Gmail, type your mail manually. From that point, the main work starts. Click on “Boomerang this”. It may take a few seconds. After that permission screen will open which directs you to b4g.baydin.com. You have to login in it. (It will open if this your first time of using Boomerang). Now you have your Boomerang account. Now back to the Gmail. 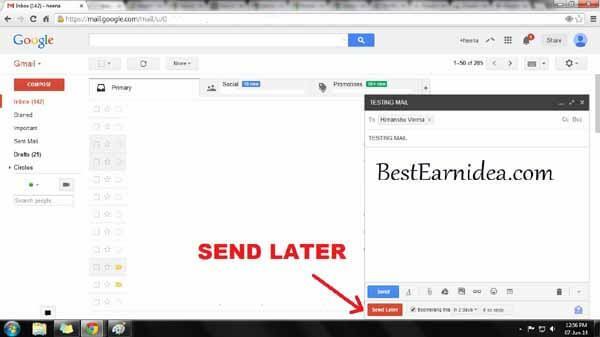 Click on “Send Later”. After that process message will show “Message will be sent on Sun, Jun 8, 2018, at 11:45”. If you want to manage your reminders & schedules go to the Boomerang option on the top right-hand side of the screen. Click on “Manage Scheduled Messages”. Here you will see all the lists which you have been scheduled earlier.